See these eyes, they cried. Pain remains but tears, they dried. iAm's debut EP titled Watching was released earlier this year and saw amazing support online and at Radio 1 and Radio 1 Xtra. They return with their new EP which is available for free download via their Soundcloud. They will be releasing the 5 tracks over the coming weeks with some amazing illustrations from up and coming designer Tom Baxter. Each track will have an individual piece of artwork which will be combined for the final EP cover. The two met whilst studying music at Westminster University in 2008 when iAm1 was born. From diverse backgrounds and influences they merge Oli's traditional song writing roots with Origins original flows and self inflicting lyrics, bursting on to the London scene in 2008 with a set firmly rooted in acoustic/spoken-word, as comfortable in a folk setting as they were with a grime audience. 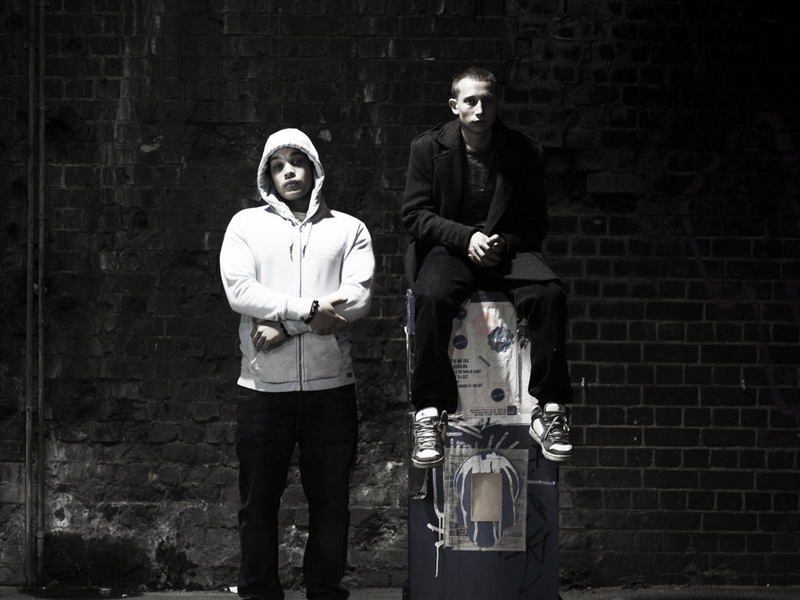 In 2009 they released their first single, a remix of Night Time Calling, featured on RWD, NME and Grime Daily, followed by their last single 'The Movement' produced by Nocturnal (Dizzee Rascal, Tinie Tempah) which was the first track ever created using a PC game, then released worldwide exclusively on EA's Games title APB. The single was also heavily supported by Kiss FM and RWD. They quickly established themselves on London's live circuit during 2009/10 selling out headline shows at many of London's key venues including Ronnie Scott's, Camden Barfly and Hoxton Bar and Kitchen whilst also supporting artists such as Tinie Tempah and Jessie J. This is not music strategised for a 'pop' audience now familiar with the blurring of styles thanks to media savvy artists and labels who recognise that a 'best-of' genres approach feeds instant gratification and chart success, it's just the sum of 2 diverse people who share a passion for creating music together without confines, then putting it out there on their own terms.